SANTA ANA – An office manager was sentenced today to four years in state prison for stealing over $82,000 from her employer by paying off her credit cards online using the company savings account. 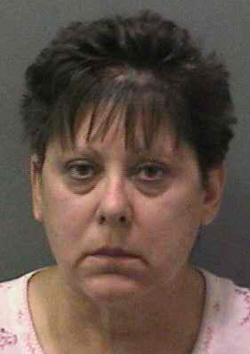 Rebecca Lynn Labelle, 54, Chino, pleaded guilty May 19, 2011, to four felony counts of computer access and fraud with a sentencing enhancement for loss over $65,000. In addition to her four year prison sentence, Labelle was also ordered to pay $82,000 in restitution. In 2008, Labelle was hired as an office manager for a graphics company, John Clarke and Associates, in Santa Ana and was responsible for managing the business’ financial accounts. Between June 2008 and September 2009, Labelle is accused of stealing approximately $82,000 from the business by paying off her personal credit card online using the company savings account without knowledge or permission of the owners. Labelle attempted to conceal her fraud by collecting the mail to prevent the owners from seeing bank statements and transferring money from other business accounts into the savings account. She also duplicated check numbers in QuickBooks from previous legitimate business dealings, which had been signed by the owner, and entered the amount of her theft for the duplicated number to give the appearance that it had a business purpose. In late August 2009, one of the owners discovered a letter from the bank alerting him that the savings account had been used for too many withdrawals. The owner began reviewing the financial statements with the bank and reported the theft to the Santa Ana Police Department, who investigated this case. Deputy District Attorney Sean O’Brien of the White Collar Crime Team prosecuted this case.